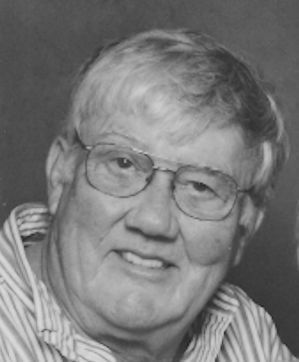 Obituary – Johnson, Harry Earl « Perry High School Alumni Association, Inc.
Basketball 51-52, Wrestling 51-52, D.E. 54-55. Harry Earl Johnson passed away on Saturday, December 16, 2017 at his home in Perry surrounded by his loving family. He was 80 years old. Services have been entrusted to the care of Dighton-Marler Funeral Home of Perry. A Celebration of Harry’s life is scheduled for 2PM Thursday, December 21, 2017 at First Baptist Church in Perry with Rev. Kim Hayes officiating. Interment will follow at Grace Hill Cemetery in Perry. All family and friends are invited to a reception at his home at 504 Noble Street in Perry at 4PM to visit and share stories of Harry. Harry was born November 13, 1937 in Fairmont, Oklahoma to Edwin and Naomi (Chapman) Johnson. 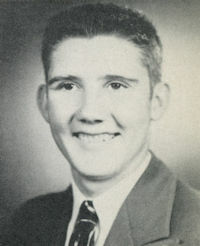 He grew up in Perry and graduated from Perry High School in 1955. After graduation he enlisted in the Navy where he served his country for the next four years and was stationed at Ford Island in Honolulu, Hawaii. After discharge he returned to Perry. He worked for several different jobs, some of which were running a route for Rainbow Bread, worked as a gradall operator for ODOT, and sold cookware for Mid-Continent Permanent Cookware out of Perry. He then bought a Ditch Witch dealership in Memphis, Tennesee, which he owned and operated for a few years. After moving back to Perry he served many of the residents of Noble County as their rural mail carrier until his retirement. After retirement, he and his wife Carol bought a home on Beaver Lake to relax on their pontoon boat while fishing for hours and hours. Later they moved back to Blackwell and lived until his wife Carol’s health began to fail. They then moved back to Perry to be closer to family and friends where he remained until his passing. Survivors include his two sons, Danny Johnson and wife Benethia of Blackwell, OK, and Eddie Johnson and wife Shelly of Perry, OK; grandchildren,Tisa Lynn Johnson of Houston Tx, Capt. Dustin Johnson and wife Allison of Cambridge, England, Airman First Class Zane Johnson of Perry, Ok, and Kassandra Johnson of Perry, Ok. Great grandchildren Sherri Risinger, Tegan Risinger, Richard Risinger, “little man” Risinger, all of Houston, TX, ; step-grandchildren Christin Glass and Candice Lawrence both of Blackwell, OK; six step-great-great-grandchildren, Ethan Lawrence, London Lawrence, Nina Glass, Nora Glass, Arieanna Tanner and Spencer Tanner all of Blackwell, OK; sister, Wanda Harper of Stillwater, OK; several nieces, nephews, cousins and a host of friends. He will be greatly missed by all who knew him. He was preceded in death by his wife Carol in 2012, parents, and one sister Maxine Hughes. Memorial contributions may be made in his name to the Perry Senior Citizens, c/o Dighton-Marler Funeral Home, P.O. Box 189, Perry, OK, 73077.